This was born of some leftover Mint Basil Pesto, and my desire to work edamame into every dish I can. I think edamame are one of the most perfect foods on earth. If I ever get another dog I may name him Edamame. No offense to my current perfect dog, Cooper. And this is another moment for a nut-free pesto, or nut free if you want it to be. I’m allergic to nuts, which is why I am always making nut-free pestos, but when you are cooking for any kids (or anyone) you don’t know, it’s so smart to double check, and when in doubt leave them out. 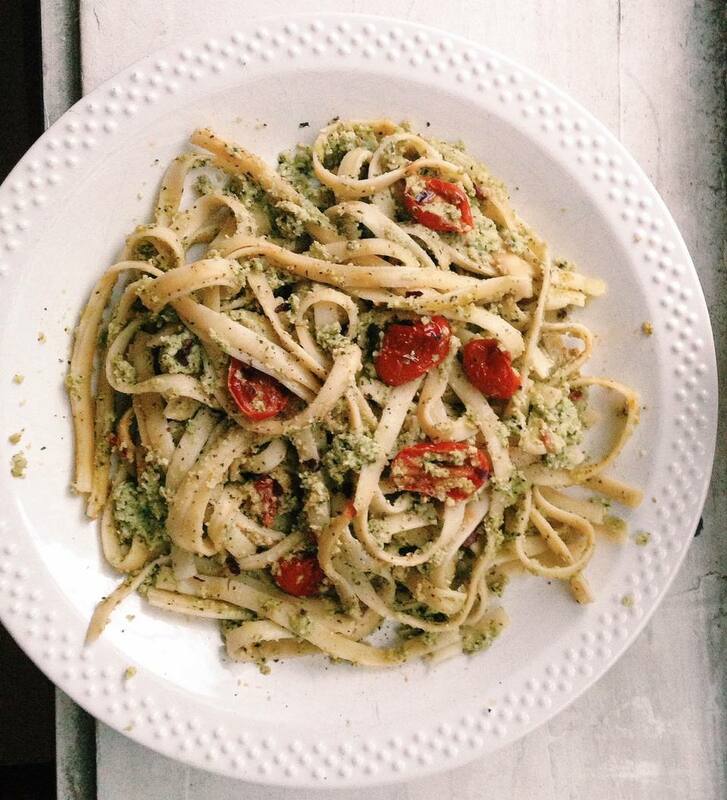 This pesto is so bright and clean and delicious, and the edamame add wonderful texture, so no one will miss the nuts. You can also pass a small bowl of toasted pine nuts at the table if you want to offer the option of that extra crunch to those who can partake. Cook the pasta according to package directions, and drain, but reserve about one cup of the pasta cooking water. Meanwhile, place the edamame and pesto in a food processor or blender and blend until pureed. Scrape down the sides, add ½ cup of the water and the olive oil, and blend again. Toss the edamame pesto with the hot cooked pasta, and add up to another ½ cup of the pasta cooking water to loosen the pesto so that it coats the sauce nicely. Serve hot, passing the Parmesan at the table.